Registration for VMBA's April 2019 CE Class with Cathy Winter is now open! VMBA is excited to welcome Cathy A (Parker) Winter (President, Mortgage Training Solutions) as VMBA's April 2019 CE course instructor (please see course description and instructor bio below)! The Consumer Financial Protection Bureau (CFPB) has been actively reviewing and updating the mortgage regulations to provide conformity and also strengthen consumer protections. This class will provide an overview of the new TILA-RESPA Integrated Mortgage Disclosure rule which took effect August 1, 2015, updated in 2017, and FAQ released January 2019. Catherine A. (Parker) Winter, President of Mortgage Training Solutions, acquired the company in 2002. Her diverse background made this an easy transition and allowed the company to expand nationwide and expand services to include full consulting and quality control/compliance audits. Mrs. Winter’s 25+ year career has been tailored to the mortgage lending industry. Her previous positions include: Mortgage Processor for 2 years, Underwriter for 1 year, FHA DE Underwriter since 1985, Senior Underwriter/Department Supervisor for 3 years, Compliance Officer for 1 year, and Mortgage Loan Originator for 7 years. Her most recent position was Vice President of Residential Lending for a community bank for 7 years. In that capacity, she had overall responsibility for: Origination, Processing, Underwriting, Closing and Post/Closing, Servicing, Collections/Foreclosure, REO Management, Compliance, and Asset Liability. Mrs. Winter was an instructor with The Center for Financial Studies (formally AIB), where she received the Instructor of the Year Award in 2001. She has taught many banking courses including: Marketing for Bankers, Principles of Banking, Law and Banking: Applications. She is a 1998 Graduate of The New England School of Banking. Time to loosen your ties and kick off those work shoes! 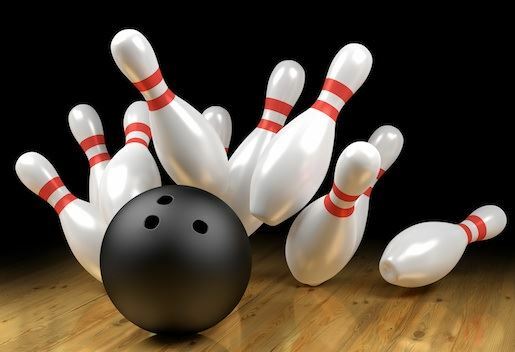 Join VMBA for an evening of drinks, networking, prizes, and some good old fashioned BOWLING! The cost for bowling is $100/team of 4 ($25pp ) and includes bowling shoes, lane, unlimited bowling from 5:00-7:30 PM, and 1 FREE DRINK TICKET (For bowlers 21+)! We encourage folks to bring coworkers, clients, friends, etc! ***Looking to also stay informed on industry compliance issues?!.. Then check out the Vermont Bankers Association's 2019 Mortgage and Compliance Day scheduled the following day on May 2, 2019! Click HERE for event details and to register! 02/20/2019 Lunch and Learn w/Dr. Jeff Fuhrer! 06/05/2018 CE Class (5hr) & Networking Lunch w/Realtors! 05/02/2018 VMBA's 2018 Bowling Social! 01/25/2018 VMBA's 2017 Legislative Day!